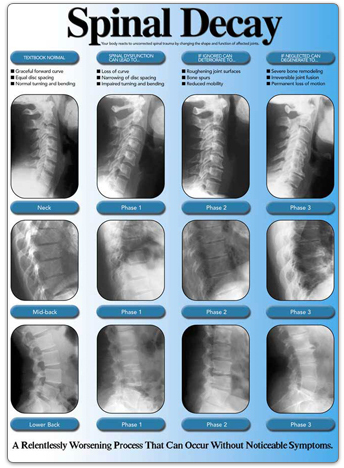 -By Registered Chiropractor/Physiotherapist with spinal health recommendations. An x-ray (radiograph) is a noninvasive medical test that helps physicians diagnose and treat medical conditions. Imaging with x-rays involves exposing a part of the body to a small dose of ionizing radiation to produce pictures of the inside of the body. X-rays are the oldest and most frequently used form of medical imaging. A bone x-ray makes images of any bone in the body, including the hand, wrist, arm, foot, ankle, knee, leg or spine. 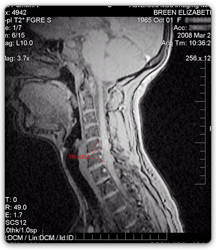 Magnetic resonance imaging (abbreviated MRI) is a method that utilizes a strong magnetic field for transmission of radio waves through the body in order to display 3-dimensional images of the body's organs and structures on a computer screen and on film. MRI is a totally painless procedure with no known side effects. MRI is most commonly used to image the brain, spine, organs in the chest and abdomen, the heart and blood vessels and structures near bones, such as muscles and ligaments. Computed tomography Scan (CT) is a doughnut-shaped machine, which allows the imaging of any body part in cross-section. It allows the radiologist to look inside your body and recreate every layer of your body from the skin to the bones and internal organs. 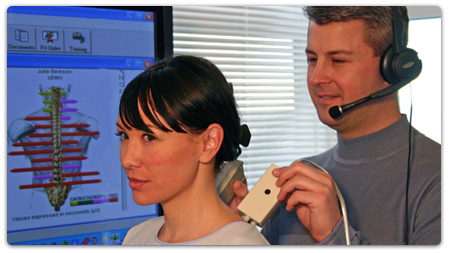 It is a safe, simple, fast and noninvasive way of detecting disease, defining anatomy or guiding biopsy procedures. With the assistance of computer technology, the detailed cross-sectional images obtained with CT scan can be displayed in any desired orientation and can also be superimposed upon each other to obtain 3 dimensional images that greatly assist your doctor in understanding your disease process. CT scan has revolutionized the diagnostic capabilities of radiographic procedures.